They call it Martial Arts, but is it? Art is self expression, and I suppose that once one gets past the fighting stage they do express themselves. The problem is that in this mess of self expression there is no science. Isn’t that interesting? A massive body of knowledge dealing with striking, throwing, energy, even spirituality, and there is no science. 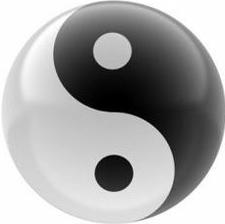 I know, some people say there is science in the martial arts, but look at one simple fact: a science has to have rules and principles which apply to everything. To the degree that things aren’t encompassed by the principles–to that degree something isn’t a science. You don’t believe me? Let’s consider a few examples. But that is not a scientific principle! That is just an advice to look everywhere. Looking closer at Bruce’s work one realizes that it is a collection of things he learned from other arts. An arrangement of drills. And it is all incredibly beautiful, and quite genius…but it is not a science. Math is a science. You can include all numbers in math, and they all do what they are supposed and they all make sense. 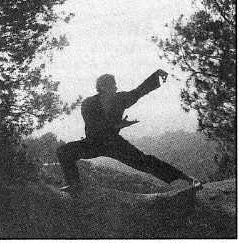 Ed Parker built Kenpo with dozens of forms and hundreds of techniques, but can you give me a scientific rule that he stated? He said “principles of motion take precedence over sequence of motion.” But where are the ‘principles of motion’ that he is referring to? And, again, look closer, his series of books, ‘Infinite Insights,’ is supposed to be based on things written by students for their black belt essay! Not scientific rules. Physics is a science. Physics is the fact of measuring the universe, and as long as all measurements are accurate, everything in the universe makes sense. 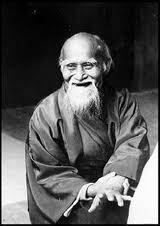 Morihei Ueshiba based his art on one principle: blend with the attack. Everything grows from that, and there is a huge wealth of information, even spiritual growth, but there is no scientific principle stated. 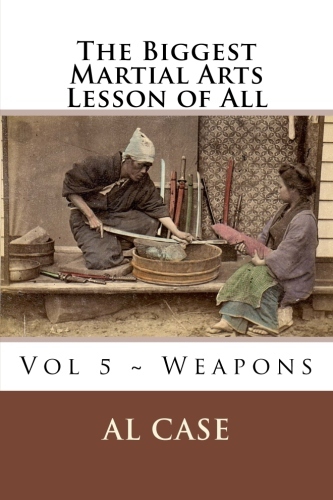 His arts came from a variety of Japanese arts, but predominately sword strikes and Daito Ryu Aiki Jujitsu, which is a collection of some 3200 techniques from a 1000 years previous. All Arts Are Part of the Same Puzzle--If You Can solve Them! Go on, name an art, you will find a principle or two, usually a strategy, but no science. And, what happens when one learns a martial art with no science is that they learn slower. They take longer. They are not as efficient. Let me explain it as simply as I can. If somebody gave you a couple of baskets of parts that contained a motorcycle, how long would it take you to put that motorbike together? And, when it was together, if you didn’t understand such things as what the correct tolerances and timing should be…what it ever really run? That is what the martial arts look like. Now, suppose somebody gave you a couple of baskets of parts…and a manual telling you the exact sequence for putting the motorcycle together, and the correct tolerances and timing and such, how long would it take you to get that puppy running? And, it would run good, too! That is what matrixing does. The unfortunate fact is that most people, holding the baskets of parts, think they have the whole thing, but they are only holding a few of the parts, and there is no manual offering scientific instruction. The truth is this: people who do the martial arts are quite brilliant…they have just been sold a bill of goods. They have been convinced that the method for learning the martial arts is sacred, no form should ever be changed, it is part of what makes the martial arts so fantastic! And, in truth, they have been sold on the most inefficient teaching method in the history of man. They have been sold on ‘monkey see monkey do,’ which is designed for children. 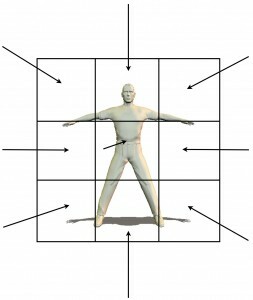 They have been convinced to memorize large sequences of random motions, and told that there are mysteries to be found. Well, yeah, there are mysteries all right, but the mysteries are because of the method, and the method does nothing to reveal the mysteries. In truth, the mysteries just perpetuate more mysteries. And I say this because the people who have the biggest wins from doing Matrixing are the people who have the most arts under their belts. The more they study, you see, the deeper they immerse themselves in the mystery, and without solving it. Heck, when they finally see the science, and everything, absolutely everything, slides into the right slot, they are blown out! Matrixing solves the mystery, and the student who studies matrixing invariably experiences a huge sigh of relief. He has, finally, been rescued form the mystery. A mystery, you see, is merely a word for something that you don’t know. Study matrixing, get the real reasons, and the mystery disappears. Enlightenment, which may people think is a lightening bolt from the sky, is really just getting all the information. It is competence. And it doesn’t have to take years and decades and lifetimes…it can happen just as soon as one gets all the information–and if the information is in order, as in Matrixing, then one can get it that much sooner. At this point I want to go over some of the Matrixing courses. This will give you an overview of the science. 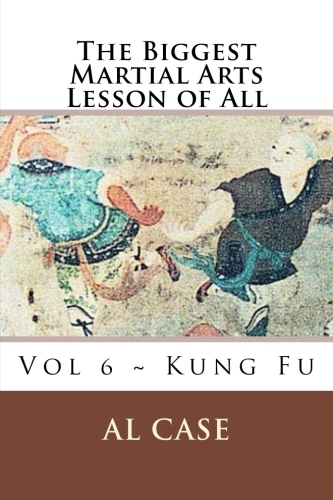 I began my studies of the Martial Arts in 1967 at a Chinese Kenpo school. 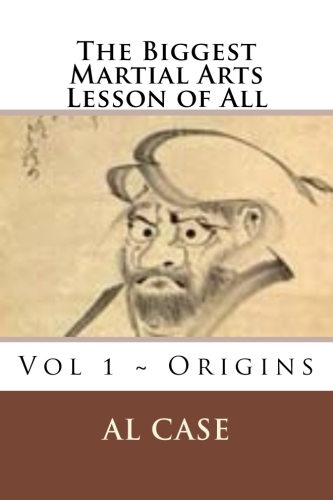 I quickly became an instructor, and then wrote the instructional manual for the school. I gave up Kenpo when I was introduced to the Kang Duk Won. The Kang Duk Won was a form of Karate which predated Funakoshi, and thereby avoided all the teaching methods developed for children, for training masses of people who spoke different languages (monkey see monkey do), and other such traps. Kang Duk Won was one of the more important of the Martial Arts ‘houses’ that gave birth to Taekwondo. It was also the art of choice for the Imperial Bodyguards of three different countries: Okinawa, Japan, and Korea. I studied the Kang Duk Won under Bob Babich. After several years of studying I went off on my own to teach. 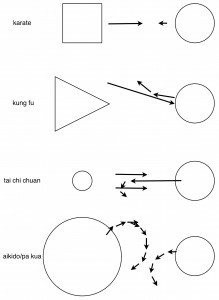 In taking people to Black Belt I found an item of particular interest…there were two arts in the Kang Duk Won; there was the official art of the Kang Duk Won, and then there was the art created by Bob Babich and lumped in with the Kang Duk Won. Having done this I began considering the martial arts in new lights; I began to see that the arts were ‘put togethers’ of other arts. 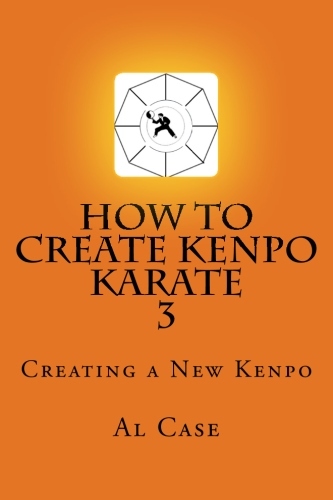 Kenpo turned out to be a combination of hard karate (see Parker’s first book) and the Kung Fu developed by a fellow named Woo. 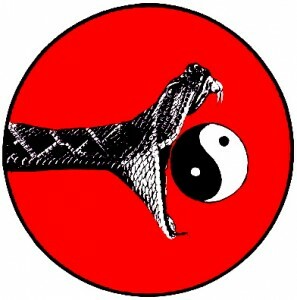 The result of these two arts was so unmanageable that Kenpo is taught as an art separate from freestyle. 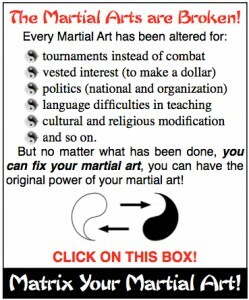 Think about it: a martial art that has nothing to do with fighting. But don’t think about it too long, for too many arts are built that way. So I had, at that time, several different arts. 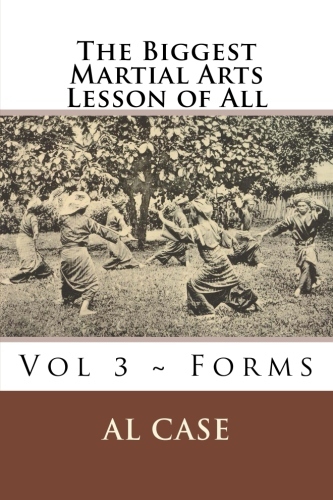 I had versions of Funakoshi’s Karate, the Kang Duk Won, Kwon Bup, Kung Fu Kenpo style, and a bit of training in Wing Chun and Aikido and Tai Chi Chuan. And they didn’t fit together. Yet, I had a sense that they did, or that they were supposed to. 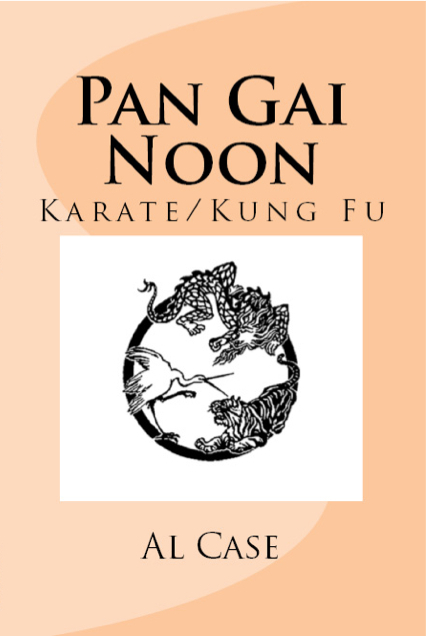 And, before I go on, let me say that I wrote books on Kang Duk Won and Kwon Bup, and I put them, along with another book I had written on Pan Gai Noon, in the course I called ‘Evolution of an Art.’ you can find more info on that course on my website. I wrote my first matrix, it was just a list of techniques probably about 1980. I called it the 16 Step Self Defense. 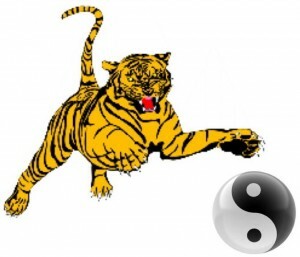 It was a logical put together of Karate, Kung Fu, Tai Chi Chuan, and Aikido. Interestingly, the 16 Step Self Defense worked like a charm, worked faster than anything I had ever done, but it didn’t make martial artists. It wasn’t a big enough piece of art, you see, and the result was that it was more like a gimmick. You can learn hundreds of techniques within an hour! Sort of like Sticky Hands…teach it without an art, and it doesn’t work as well. It works okay, but a person needs more training in how to control the body before they start learning how to fight. I moved to Los Angeles, became a writer for the martial arts magazines, studied more arts, and kept thinking about Matrixing. 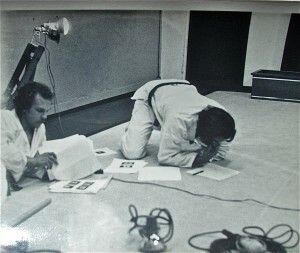 This was decades before the movie, and I was using Matrixing for the name of my concepts and arts. And, I taught. When I learned something I always turned around and taught it, for that was how I found what was right and wrong with an art. There was actually a fourth course, and I’ll put that out some day, but the real essence of Matrixing was contained in those three courses. In the Infinite Fist I created an art from the ground up. 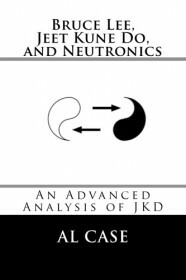 In Pa Kua Chang I applied Matrixing Principles, and made the world’s first perfect Pa Kua. 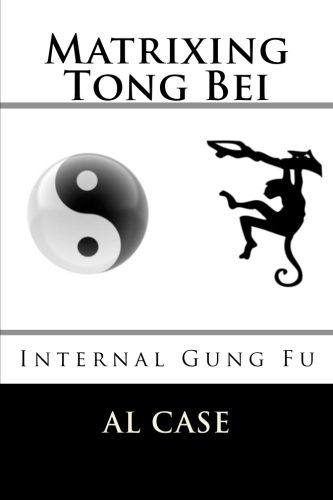 In Pa Kua Chang and The Infinite Fist I combined the two arts, revealing two man exercises that nobody had ever thought of. In truth, nobody had ever thought of any of this stuff. While certain arts had influenced me, in the end, I tossed them all out and concentrate on just the true and exact science of body and motion. Man, there was a moment of profound shock. He went blank. His mouth actually dropped open. ...to the simplicity of Matrixing. I was honestly a little confused. I didn’t think about the stuff I was doing, you see. I just kept working out, teaching, figuring things out and having a good time. Anyway, those three videos are on the ‘Create Your Own Art’ course. They are grainy, the video technology of the day was real caveman, but they are understandable. And, perhaps of interest is the win from the first student who ever ordered the ‘Create Your Own Art’ course. It is at the bottom of this report. One day my son came to me, wanted to learn Martial Arts, and I decided to teach him Outlaw Karate. 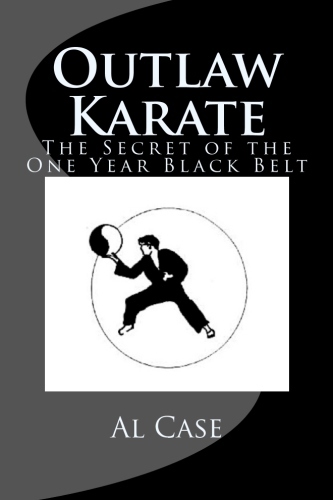 Outlaw Karate was what I had developed and begun teaching when my first teaching method had failed. And, brother, it worked. Well, of course it worked, it was a put together of the best techniques and moves from Kang Duk Won and Kwan Bup, and it was influenced by Matrixing. It was also the toughest class I ever taught. Poke around my websites and you will find things I wrote about that adventure. You will also find the actual Outlaw Karate course itself. Interestingly, it was my first real success on combining arts. I didn’t use the 16 step self defense, but I did use things that were the direct result of the 16 step self defense and the matrxing concepts that I was working with. So the course, like Evolution of an Art, is not Matrixing, but it is the result of Matrixing. Time went on, I opened a few schools, closed a few schools, wrote more, wrote a lot, and one day one of my students (Mike) asked me if I wanted to sell martial arts videos on this new fangled thing called the internet. So we built a studio, he bought a camera, and we filmed the bulk of the matrixing courses. 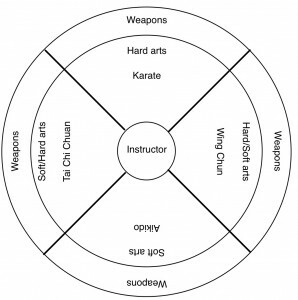 Matrix Karate, Matrix Kung Fu, we had Matrix Aikido from a seminar, Five Army Tai Chi Chuan, and so on. And, we went into business…and flopped. Simply, we didn’t know anything about marketing. It was frustrating, because the few people who did buy courses were sending us unbelievable wins, but we couldn’t sell enough courses to make a profit. In the end, Mike turned everything over to me and told me to go into business for myself. And that was the birth of Monster Martial Arts. Monster turned out to be a Monster. I was suddenly besieged by people asking questions and wanting to know about this Matrixing thing. I have students in near every country of the world. The Punch is a doctoral dissertation on what exactly has to go into a punch. It is loaded with drills and the exact information necessary to one punch anybody. Nobody has ever written a more comprehensive book on the punch than this one. 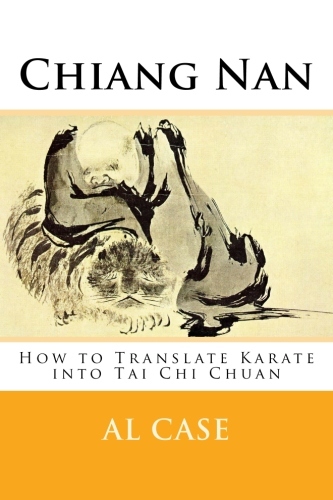 Matrixing Chi details the workings of the body and how to generate Chi. It is rather unwieldy to read, as I left my normal style to better flow the information as teacher to student. But it is very, very good. 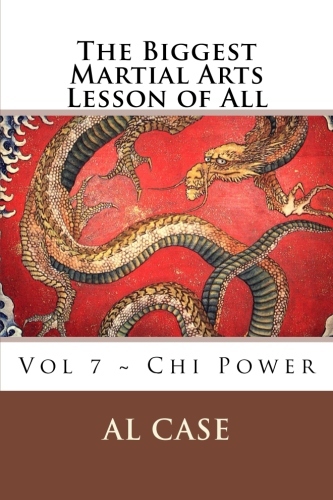 It is the only time in history that somebody has written about chi as a science, using scientific principles. And, amongst the videos was the Three Month Black Belt Course. 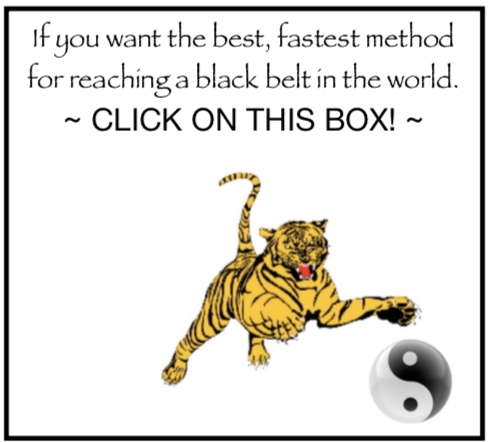 The thing I was precisely trying to do, when I taught the Three Month Black Belt course, was get rid of reaction time, to make a person intuitive. No more think about, think, think and do…just do. 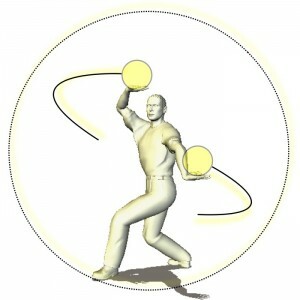 This getting rid of reaction time is called ‘Mushin no shin,’ or mind of no mind,’ in the Japanese. 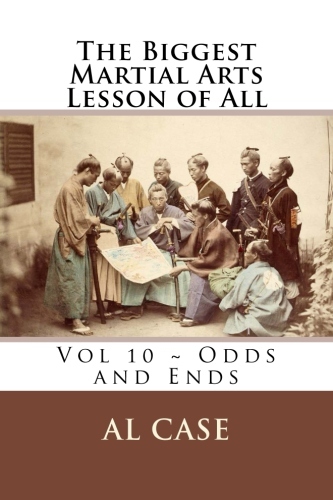 The Japanese say it takes decades of intense, dedicated practice to achieve Mushin No Shin. 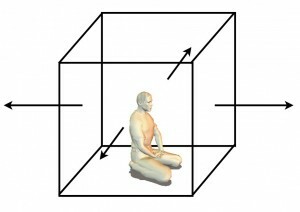 Using Matrixing I got a fellow to an intuitive state of mind within three months. And that is just the tip of the iceberg when it comes to matrixing. Now, that is the history of Matrixing. It is a quick history, and there is a lot more written on my website, in my blogs and articles and so on. If you haven’t subscribed to the Monster Martial Arts Newsletter you probably should, because that is where I get into this stuff. The important thing is that Matrixing is a science. This is something people realize as soon as they pop one of my courses into the video player. This is the thing that elevates the martial arts and blows people away: the actual and scientific reasons for how the body works. 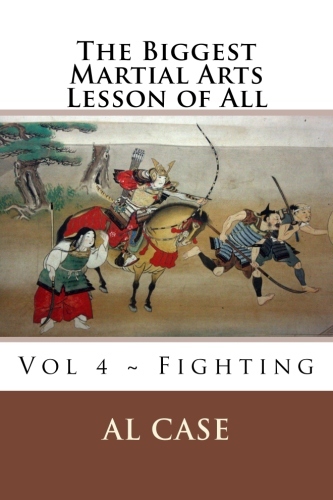 It is a level of knowledge that nobody has ever written about in the entire history of the Martial Arts. Not Bruce, not Parker, not Morihei Ueshiba…nobody. The thing I want to say at this point has to do with the order of courses one should study. One could take it from the ground up, and follow the exact course I took. But it would be better to start with Matrix Karate. That is the art which has the most matrixing on it; that is the course which establishes the science. Then I would recommend one study the courses in the order I present them on the Monster website. Though, to be honest, one should select the course which interests them the most. 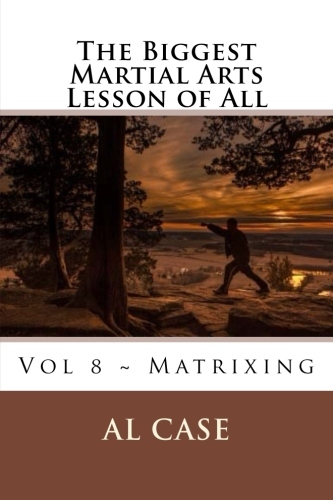 People are more prone to studying what interests them, and I would hate to see Matrix Karate gathering dust on a shelf just because somebody should have gotten a different course for their initial studies. Further, people have an intuitive feel for these things, and they will know what art they should study, when they should study The Punch, or go into Blinding Steel (weapons), or whatever else. It is not a sampling of principles, it is not a strategy of some sort; it is a science. It contains all the scientific rules which make a science out of the martial arts. 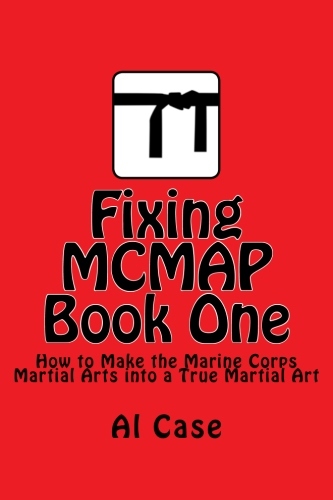 Done properly it will enable a person to fix any martial art. 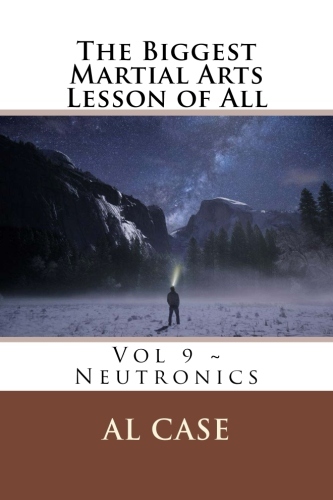 They will be able to separate arts that have been combined, create the best order for learning, and understand all the parts that have gone missing over the millennia. 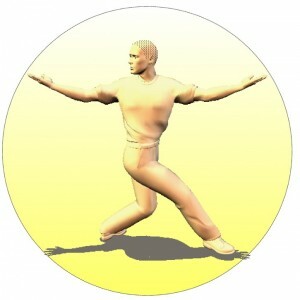 In short, Matrixing will create better martial arts, and it will create better martial artists. The person who knows everything about his art, and even knows how it fits into the greater scheme of all martial arts, is going to be a better martial artist. Period. And, icing on the cake, the person who learns Matrixing is going to be learning faster, much faster. So the question is this: are you going to be learning Matrixing? 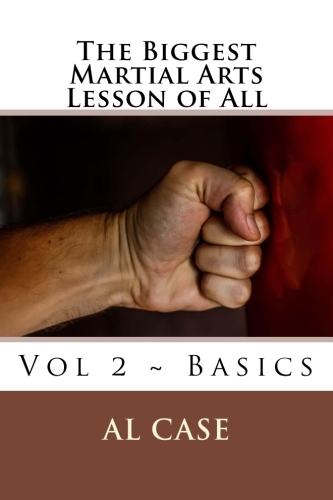 Are you going to learn the most important developments in the martial arts in the history of this planet? To do otherwise would be to flog the horse while jets are flying over head. For Matrixing is taking off. In a hundred years there won’t be any martial art that isn’t matrixed. In a hundred years…but you don’t have to wait that long. I actually came upon your work in 1986…In the very beginning I knew you had the True Art and that is exactly why I have followed you all these years. I have had the benefit of having studied from at least a dozen masters and I can tell you that no one contributed more to my martial arts education than you. So when I am asked who is my Grandmaster, without hesitation you are first and foremost. In the eighties when I was young I was invited to leave most of the schools I tried to train at. When it came time to spar I humbly put on my white belt and proceeded to practice what I knew, and to everyones amazement the black belts in these schools just couldn’t handle what I was doing. Now I am not blowing my own horn here, I am just telling you the facts, and further trying to make the point that I am still alive because of what I have learned from you. So just know that through your teachings you bring us the skills to live and survive. I am sure you already knew that, so just know that this student appreciates all you do and again want to say thanks for all you contributed to my life and my art. Sincerely, Charles Cashmere MD,Phd. Founder Chung Moo Kwan System. Don't just focus your fist, learn how to focus your feet! Having a ball today. Maybe I shouldn’t use that word. One of the stories I posted was about the time I got Kicked in the Balls. I still had kids, but I don’t know why. Still, I had a sweet revenge, an artistic revenge, if such a thing is possible. 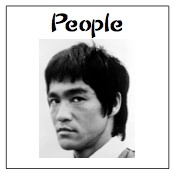 The other article I posted was on three things Bruce Lee taught Joe Lewis. This is one of those things that you think is urban legends, then you find out it is real, and it is why Joe Lewis became the world Karate champ, and many people consider him as the best karate fighter in the world. Anyway, you can find those articles if you look in the humor section and the technique section. You could probably do a search for them with the top right hand search box. Up to you. Double anyway. Had a great work out today. I try to fit three forms into the time it takes my oatmeal to boil. I make it, but just barely. Still, the whole work out thing is incredibly mental. It’s not how many forms I can do how fast, it’s whether I can relax my body so that each strike or block in the forms is perfectly executed. Perfection comes from the amount of space you have in your mind. If you’re thinking about work, or TV, or something else, then you don’t have an empty mind. An empty mind is possible when you concentrate on one thing and only one thing. That is what zen is, you know, just being able to focus on one thing. Some people want to build it up as mystical, but the mystical happens after a few years of concentrating on one thing at a time. And the mystical isn’t always what you think it is. But, I should explain mystical some other time. Got to write more articles, do more forms, have more fun. Here’s a light, little power kick to send you off with. Have fun. Grin.